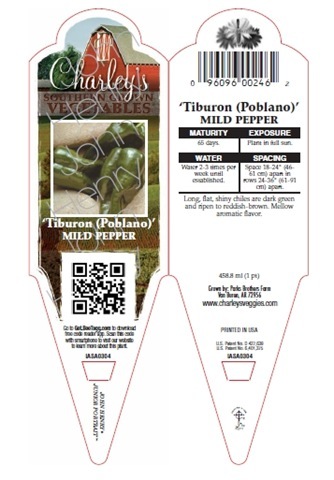 Starting in spring 2011, we will be incorporating 2-D codes on our 4” Charley’s Vegetables and Herbs. 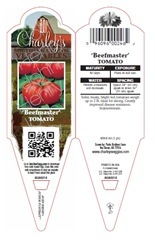 This new technology will allow consumers to read the 2-D code with their smart phones (using either BeeTagg, ScanLife or comparable apps) and be directed to product specific pages on our existing Charley’s Veggies website www.CharleysVeggies.com. 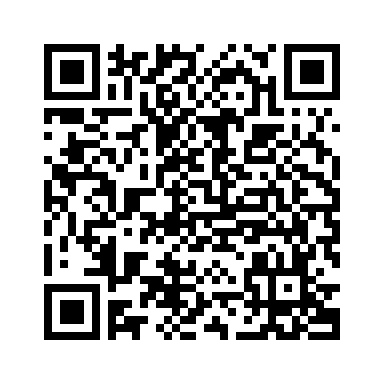 Here are a couple of samples of our new tags with the 2-D code. 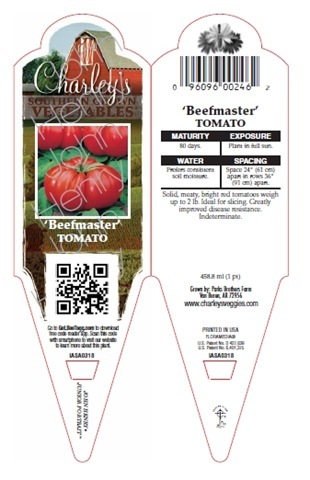 We will be adding more information and content to www.CharleysVeggies.com before next spring as well as updating the look and functionality of the website so that it will be optimized for mobile users. Charley’s Vegetables is our exclusive line of 4” vegetables available to IGC’s. 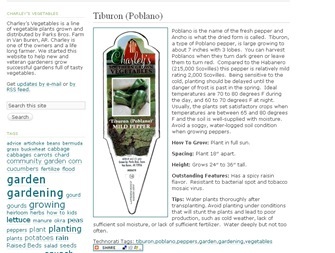 The name comes from one of the owners, Charley Parks, who happened to be plowing in his garden when we were trying to come up with a brand name for our vegetables. 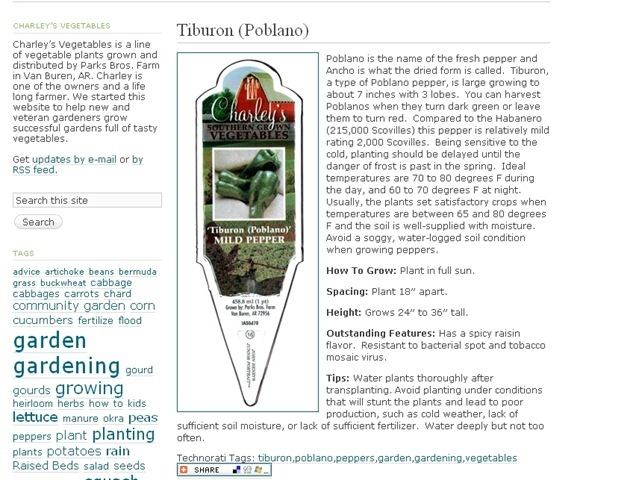 You can also go here http://www.todaysgardencenter.com/news/newsacrosschannels/?storyid=3797 by Today’s Garden Center to see a video on how to use a create 2-D codes on your own to use in your garden center.